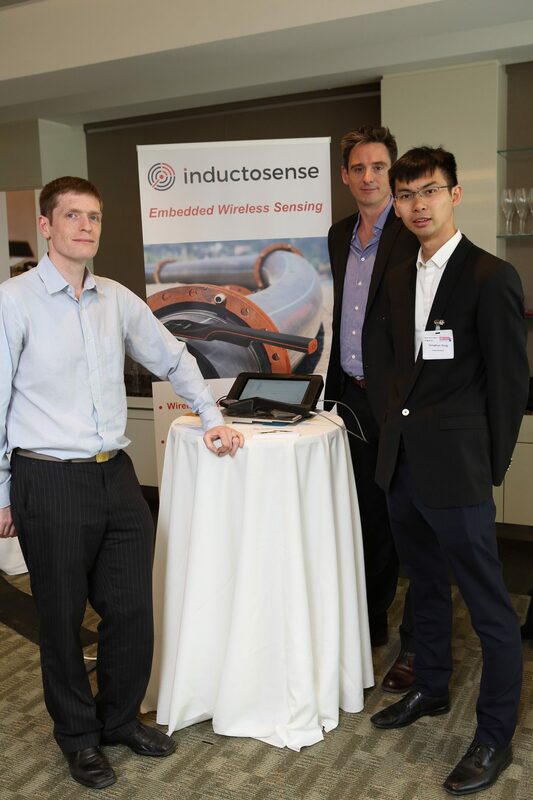 Image above shows from left to right: Dr Anthony Croxford, Dr Matt Butcher and Dr Chenghuan ZhongDr Matt Butcher, currently a Research Commercialisation Manager at the University of Bristol, will be joining Bristol spin-out Inductosense full time as its CEO at the start of June. The Inductosense team have invented a compact hand-held device known as WAND – Wireless and Non-Destructive system. It utilises wireless, battery-free ultrasonic sensors that can be embedded or attached to a structure to conduct fast, reliable and low-cost inspections of cracks, defects or corrosion across a range of applications. Inductosense took part in SETsquared’s ICURe Innovation to Commercialisation Programme and now have a team of three employees based in the Bristol SETsquared Centre. Matt’s move provides a vacancy in the University of Bristol’s research commercialisation team for a talented manager who can spot and develop commercial opportunities from the University’s research-derived IP. Find out more about the Research Commercialisation Manager vacancy The closing date for application is 17th April 2016.